I like to think we are a pretty forward thinking, pretty high-tech household. We tend to embrace new technology and usually give it a go before most people have even heard of it! For several months now we have been using contactless payments as much as possible, and whenever available. Our local Co-operative store seemed to have taken on board the whole contactless technology thing and their terminals readily accepted payment using contactless enabled cards. This was perfect as our local ‘grab something for lunch/dinner/treat’ purchases are usually under £30. A few weeks ago my husband returned from a lunch purchasing expedition to the local Co-op. He was annoyed, well just a bit. He explained that when he paid with Apple Pay – they asked him to sign a receipt!!! WHAT! The checkout operator asked him to sign a receipt because her terminal was telling her to – hubby asked what she would be checking the signature against – she has no answer. So I rang the manager and he apologised and explained that it was their terminals that couldn’t cope with the Apple Pay transaction so asked for a signature. It wasn’t necessary and he would inform his staff of this. So I thought all sorted. Last week I was buying local again and I used my phone to pay. I saw on the screen that it said ‘customer to sign receipt’. I already had my shopping and I had already paid. 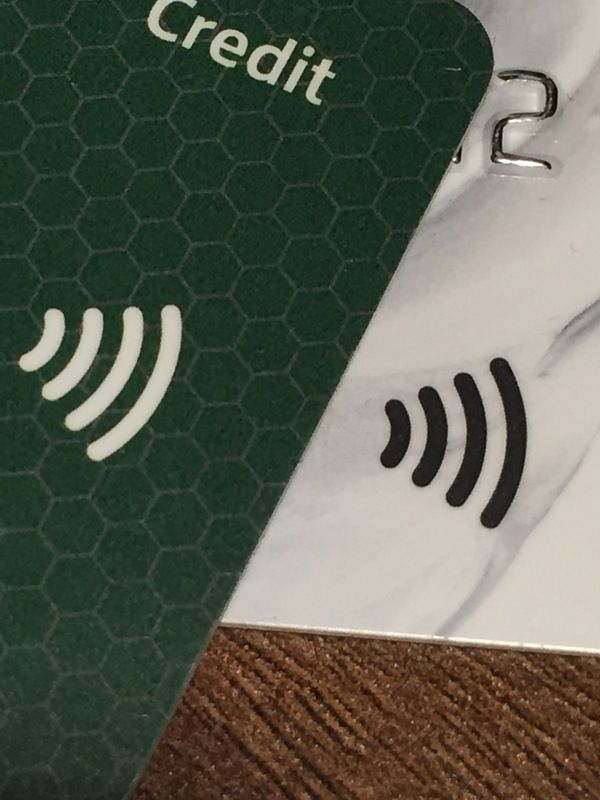 So I refused to sign the receipt – one good thing that has come from contactless is that we no longer have to touch a scummy keypad that 100’s of other people have touched. (I am by no means germ-adverse but I think this is a good thing). So the last thing I wanted to do was touch equally scummy pen and sign a pointless signature on a pointless piece of paper. There was a supervisor stood nearby and I explained to him the futility of getting me to sign this piece of paper – he really didn’t have anything to add except that he admitted this was the first Apple Pay transaction he had ever seen! (Oh how sweet it is to live in a small town in the Cotswolds). I considered popping into the local Tesco for a couple of other items, then I had second thoughts because I was in a hurry and realised Tesco didn’t even take contactless so I would have to get my purse out – what a drag. I didn’t bother and came home. What I did do was to Tweet Co-op food and asked them why the signature and what was the point of it – they did come back pretty quickly to explain that the terminals are being updated within the next few weeks. I was happy with that. But then I thought well if Co-op can do it, why aren’t Tesco even contactless yet? Then I asked why aren’t there contactless terminals in all stores across the UK? Sainsbury’s aren’t much better and are apparently going to be ‘trialling’ contactless/Apple Pay soon, because it is a new technology and they want to ‘make sure it works effectively’! Why are these huge supermarket chains so far behind? Who have they got working on future tech? This is so disappointing. Personally speaking, my phone is always with me so if a shop takes Apple Pay and I need to buy something on the spur of the moment that’s the shop I will use. So easy and so secure and useless in the hands of anyone else, literally.